The women in my life all sew. I am continuously reminded of them especially remembering their hands. My mom’s hands are smooth and soft. I still hold her hand when I cross the road as it is a comfort knowing she is by my side reaching back to help me keep up and always there to guide me forward. I think of my mom’s hands here and there during the week, how they type at the key board or the way they move while she knits. But I also have many memories of her at the sewing machine whipping up everything from pillowcases to dresses and costumes for my siblings and I. Our favorite costume by far, was the Captain Planet costume she made from my brother Bryan. A technical feat as each muscle from bicep to quads were hand sculpted. My late Nalí Asdzaan was one with impeccable fashion sense. I was continuously impressed with her ability to pair different prints from a variety of stores. My sister and I remember her keen ability to incorporate leopard print into her outfits and still wear her Navajo jewelry. A valuable lesson I learned early. She made us many of our own outfits for special occasions. Her hands would work seamlessly measuring our waists and lining up the material. When I was in college I ran for Miss Indian ASU, I came in second and held the 1st Attendant position, which meant I attended many public events dressed in traditional attire. Shímasaní made my outfits during this time as she was a skilled seamstress. I remember us going to the fabric store together and her giving her approval to different prints and material to be made into tops, skirts and ribbon shirts. Her hands were always very steady while she sewed. Today her arthritis keeps her from sewing but my home and closet is filled with the many outfits, pillows and quilts she’s made me. Presence 4.0 highlights the style of ordinarily fabulous American Indian people found in our society today. 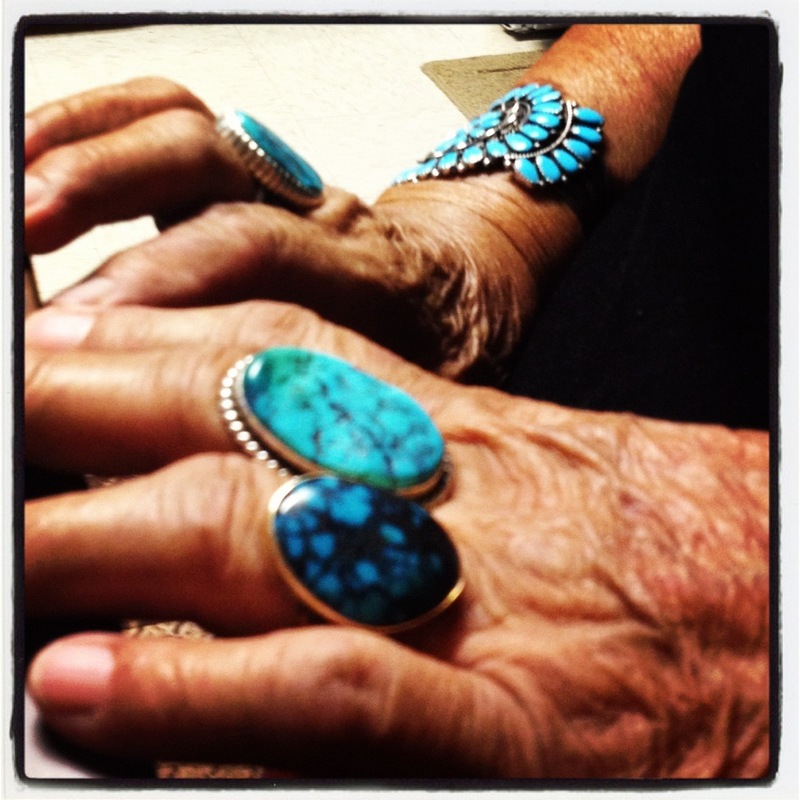 Our blog advocates for advancement of American Indian people’s presence in popular culture. I encourage you to check out our blog and stay tuned as it continues to grow and change. We are the only blog of our kind dedicated to the portrayal of American Indian people, so I am proud to be a part of this new movement. When I was in high school, I dreamed of one day having my own magazine. A fashion magazine filled with color and beautiful people. Presence 4.0 is this dream realized as it has allowed me to work with many talented people. This project is one I am delighted to be a part of as it strengthens the connection I feel to the women in my life. They have fashioned my thinking just as they have shaped with their hands the many outfits I carry with me today. I really appreciate your blog. I really love how you describe that the new fashion project ‘strengthens the connection I feel to the women in my life’. Thank you so much for your comments. Beyond Buckskin is a great blog and presence 4.0 has collaborated with BB Founder Jessica as well, a great lady!